Frisco Kids: Three Museums not to miss in Washington D.C.
Three Museums not to miss in Washington D.C.
During the tour, you’ll walk above the printing floor, watching the workers. They have a sense of humor, posting signs like “tomorrow only: free samples” and “just think how I feel – I printed my lifetime salary in a few minutes.” You’ll see the printers (which we saw getting jammed), sheets of bills then getting cut and trimmed, computers that inspected the currency (at ½ second per sheet), carousels/trays of money moving through the packaging process, $400,000 bricks of money (and $100 billion in one room alone). 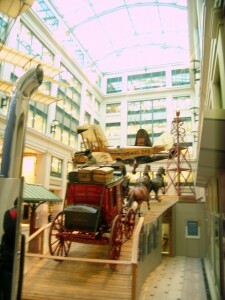 The exhibit before the tour is interesting as well, with the history of the bills and printing. -the Bureau has 2,500 employees, and they print 24 hours a day. Kids’ Opinion: While I thought the Bureau was fascinating, the kids surprisingly didn’t. Maybe your kids will like it more. they can buy shredded money in the gift shop. Details: Since you can’t get tickets ahead of time, get there early and wait. Even in off season. Admission is free. Get Bureau of Engraving and Printing tour details here. 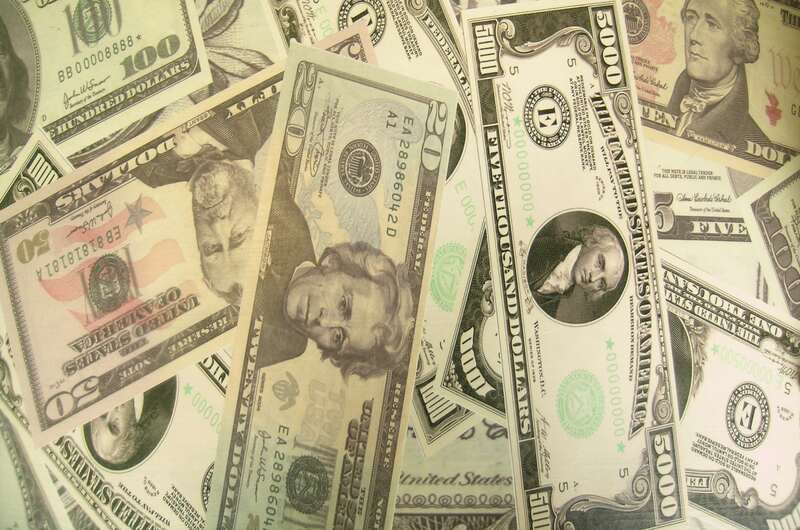 You buy shredded money in the gift shop. This is a huge museum and was probably our favorite. 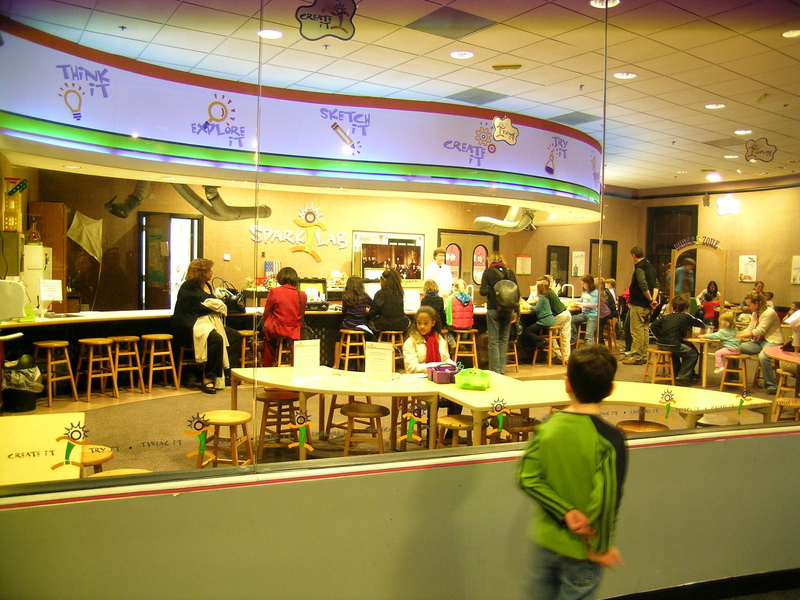 SparkLab: The ground floor has several interactive galleries the kids loved, including the interactive SparkLab, where they did experiments, games and learned about invention. 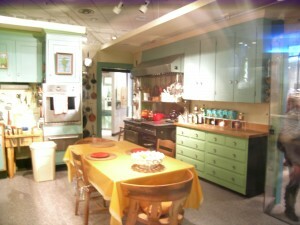 Julia Child’s kitchen – worth a peek through this recreation of her kitchen, with her original cookwear. You can also watch some of her shows, but that was boring for my kids. Star Spangled Banner – This 30 x 34 foot flag from 1795-1828 flew at Fort McHenry. It inspired the Francis Scott Key song after a night battle. Learn the history at the exhibit and see the flag, which originally had 15 stars and 15 stripes. Mary Pickersgill was paid $405.90 to make it, which is more than most in Baltimore would earn in a year at that time. She had help: her daughter, two nieces and one indentured servant.Read all about the flag and its history (with quizzes!) here. 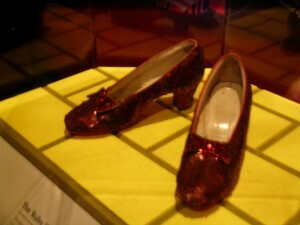 Pop Culture – see Dorothy’s ruby red shoes (size 5, and one of several pairs worn in the Wizard of Oz) as well as Archie Bunker’s chair and Kermit the Frog, Farah Fawcett’s swimsuit, Michael Jackson’s hat, Apolo Ohno’s skates. Carts – we learned how the cotton gin works through a traveling cart and educator. The kids got to separate seeds from cotton and take home what they did (okay, so I wasn’t so excited to have a loose bag of cotton in my purse, but it could be worse). Check out a list of daily events before you go. Details: The museum is part of the Smithsonian and is free. Here’s a self-guided tour with kids for up to age 5. 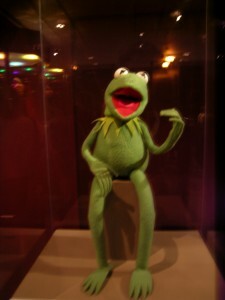 Tips on taking the kids to the museum. If you need a break in winter, the hot chocolate in the café was delicious ($3 for a 20 oz cup). They also serve ice cream. We only went here because it was by Union Station where we were meeting someone. Turned out to be a fantastic museum that I’d like to return to, because it had so much to do with the development of the country. 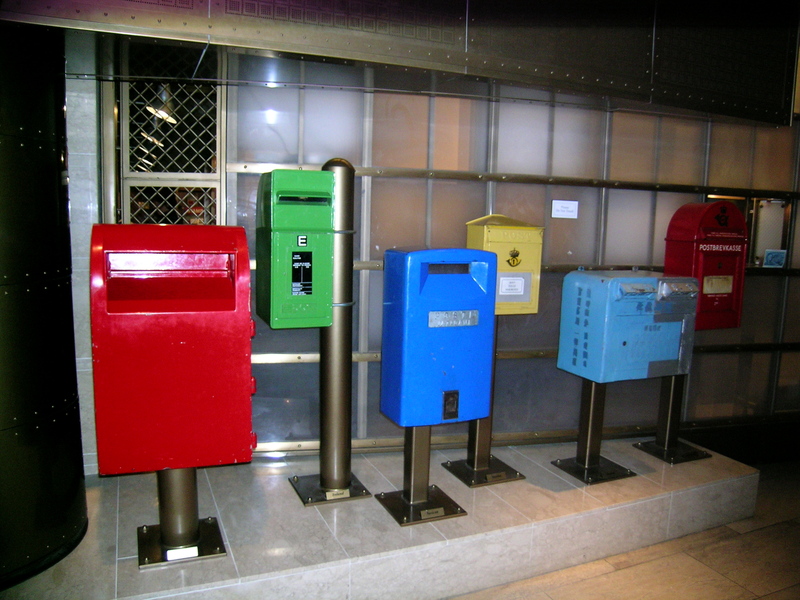 You wouldn’t think postal issues would be so important, but they have a lot to do with the spread of information and freedom (or lack of). There was plenty for the kids to like, including the interactive computer program where they figured out the best postal routes overland. 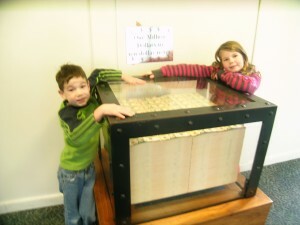 They also liked the hands-on fraud area, and the Wells Fargo Wagon. 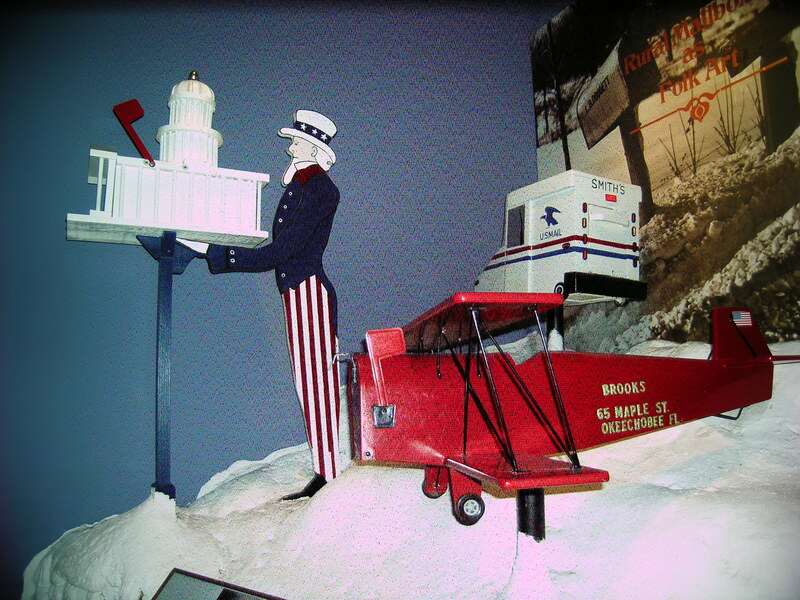 They could go on an early American postal route, which was experiential in its presentation. -Since 1912, postal carriers have gone to the bottom of Grand Canyon for delivery. This is the last mule delivery route in the U.S. They also deliver eggs, fruit and Christmas trees there. 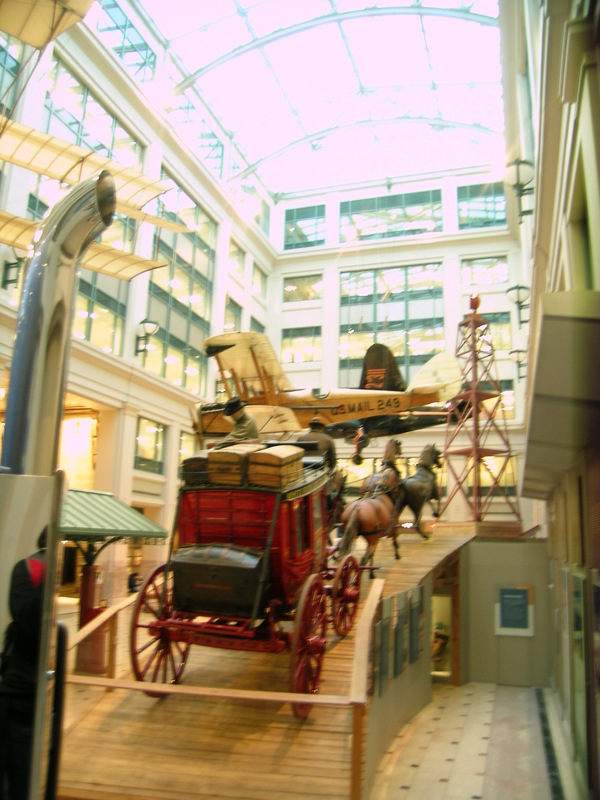 -early postal carriers were contractors with their own insurance and methods of transport. -postal issues caused huge debates in early American government, because of freedom of the press, personal privacy and national interests. The handcuffs used on the Unabomber, and a package mock-up that postmasters used to try to recognize his packages. 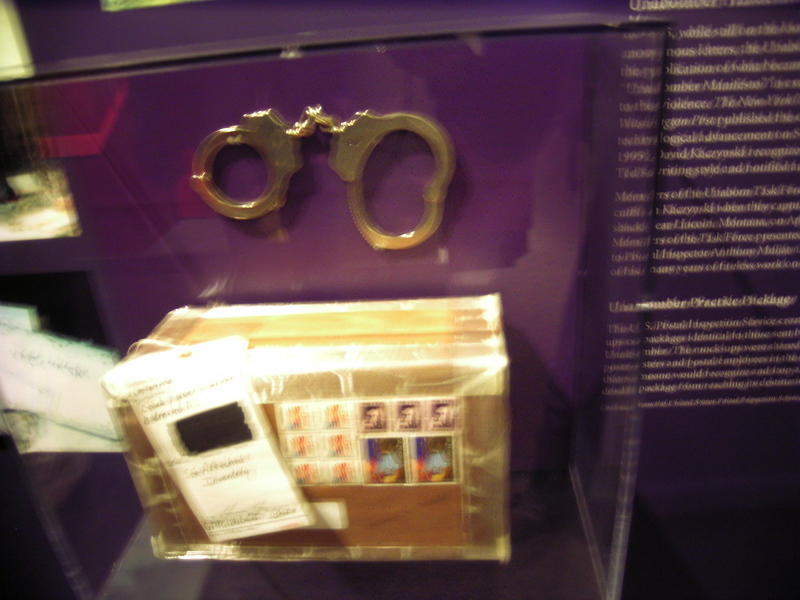 You can also see the handcuffs used on the Unabomber (sorry the photo is blurry). Also tied into our Newseum trip, where we saw his cabin where he lived for 20 years. As you probably remember, the Unabomber sent his bombs through the mail, in packages like the one pictured here. Don’t miss a single Frisco Kids post! Subscribe by email, and join us on Facebook. Labels: Museum, Travel, washington d.c. I went to D.C. on a high school trip many years ago, and I can't wait to take my kids! I love museums and these all look great! I went to the National Museum of American History, but it was so long ago that I can't remember much except the ruby slippers! The Bureau of Engraving and Printing is one of our all-time favorite tours. Funny because it really hadn't been on our radar to visit. 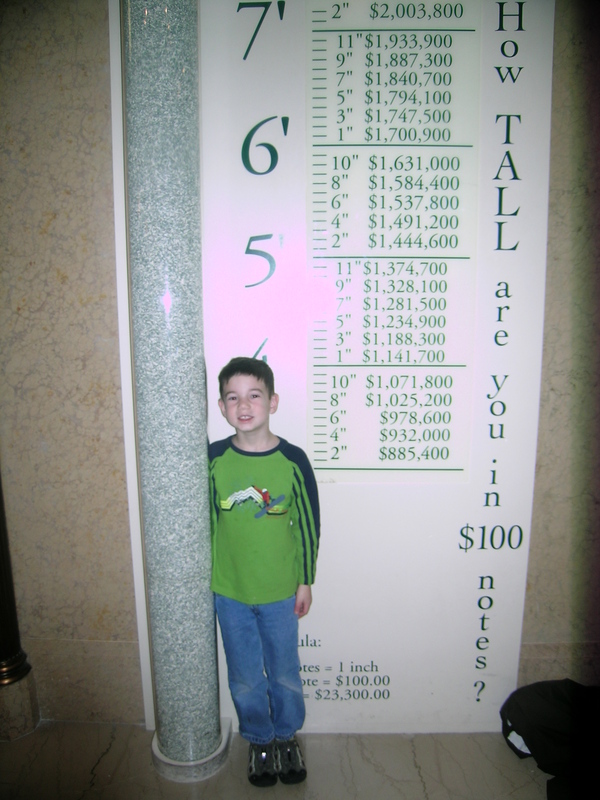 My kids were 7, 8 and 10 at the time. We actually did get out tickets ahead of time by arranging our tour through our representatives office. I've not been to the other two museums you suggested. It's so easy to run out of time in DC. We did visit the Holocaust Museum though- it was amazing. Very surreal and heartbreaking. But amazing. Thanks for linking up to the Best of the USA blog hop last week. I hope you'll join me again next month. Review: Suite Hotels near Washington D.C.
Review: Newseum in Washington D.C.